Set-up of a precut sauna with Harvia Legend 240 woodburning stove, located in an underground area of a private home - recently renovated - in Villa Minozzo (Reggio Emilia - Italy). 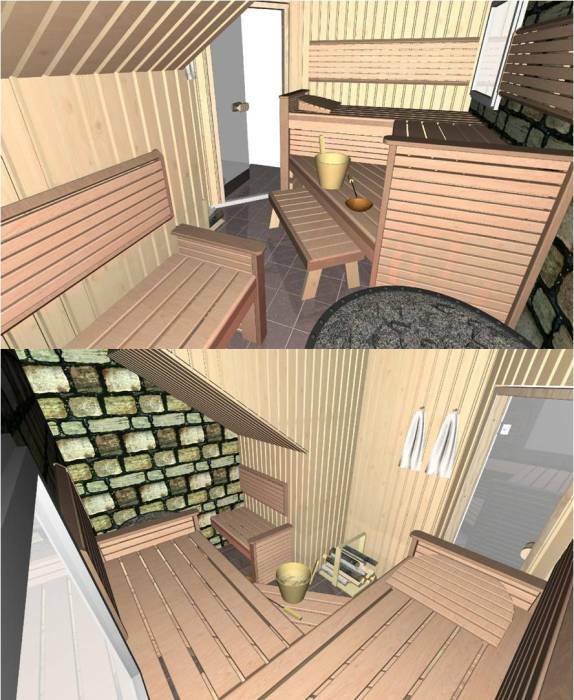 The sauna has a capacity of 5/6 seats. The lay-out includes a double level of benches "L shape" and interiors type Exclusive in two-color with seats in clear Abachi and finishing in red Alder. 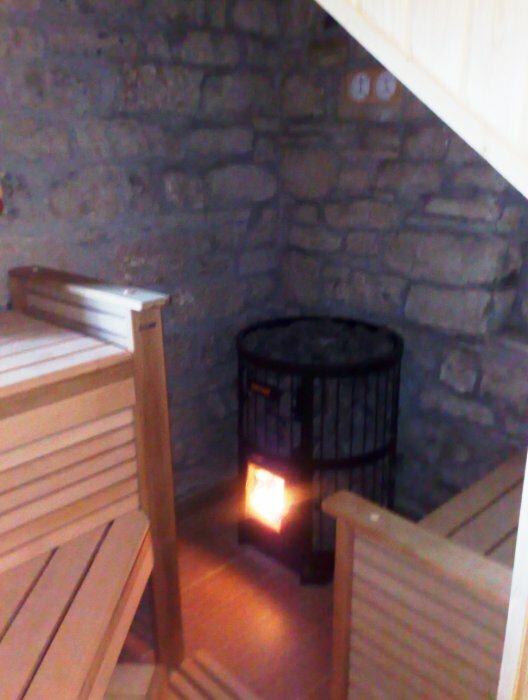 The sauna has trapezoid shape, interesting part of under-stair (stove and little bench placed here), has an inner window of 60 x 80 and - characteristic of this sauna - was kept a wall (wall master the house perimeter) in rough stone. 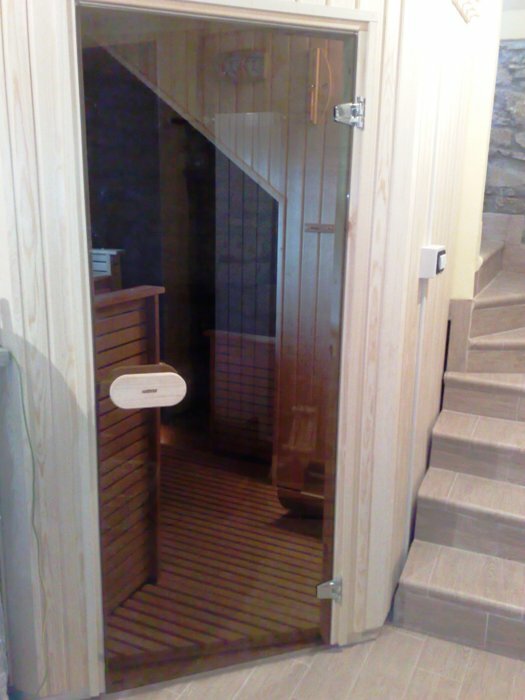 The internal dimensions of the sauna are: L. 2960/2125 x W. 2360/1605 x ​​H. 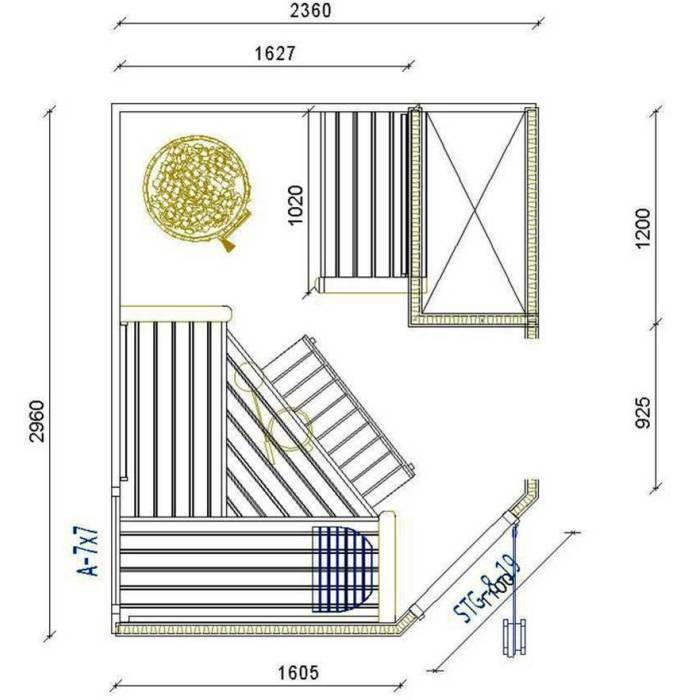 2200/1900/1560 sloping roof with involvement of a sauna's part under the stairs. The woodburning stove is the Harvia Legend mod. 240 (with 240 kg of stones). More information about the stove Harvia Legend (in many versions).